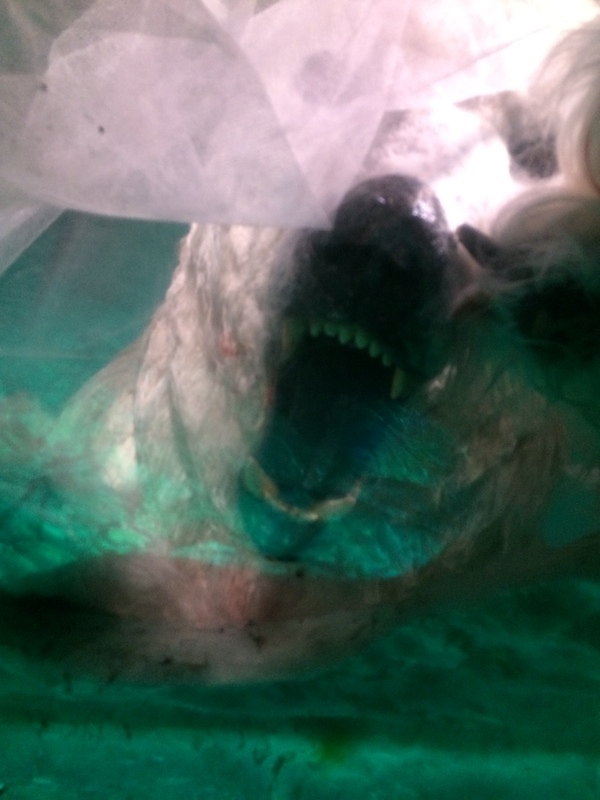 Isbjørn – In search of the ice bear. I have returned to civilization after my trek to the far north and I have many tales to tell. 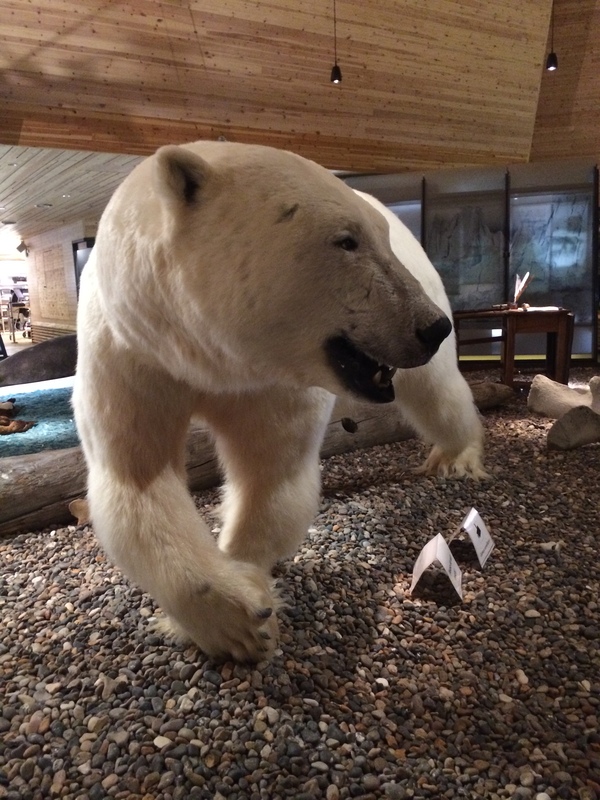 Naturally, my true reason to head to the Arctic was to hunt Polar Bears. 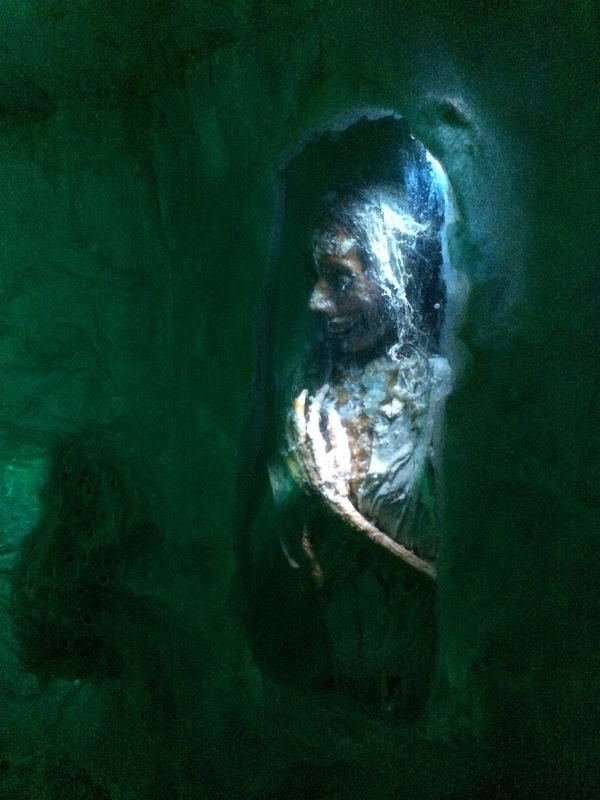 As I drew closer and closer to the Pole, they became more prevalent and, at times, I discovered them in the most unusual places where I was ill-prepared for the encounter! 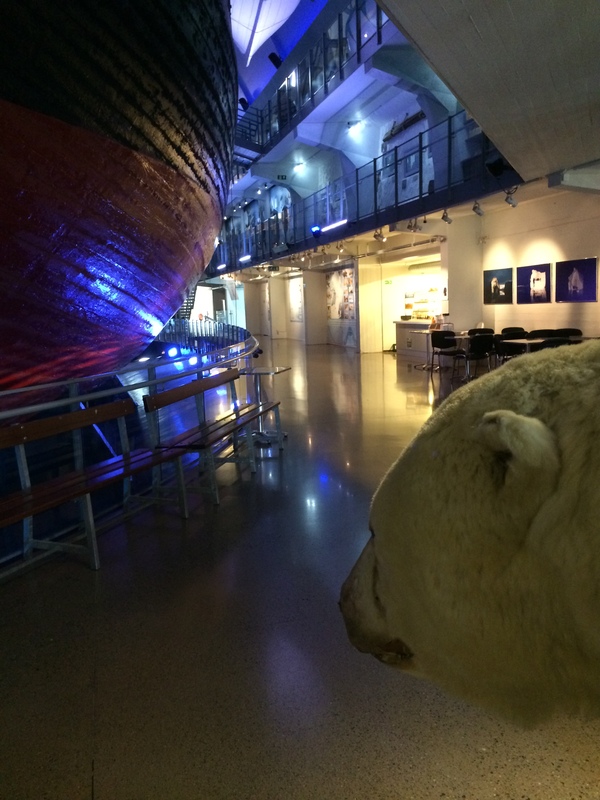 My first close encounter with a ‘real’ bear was at the Fram Museum in Oslo. 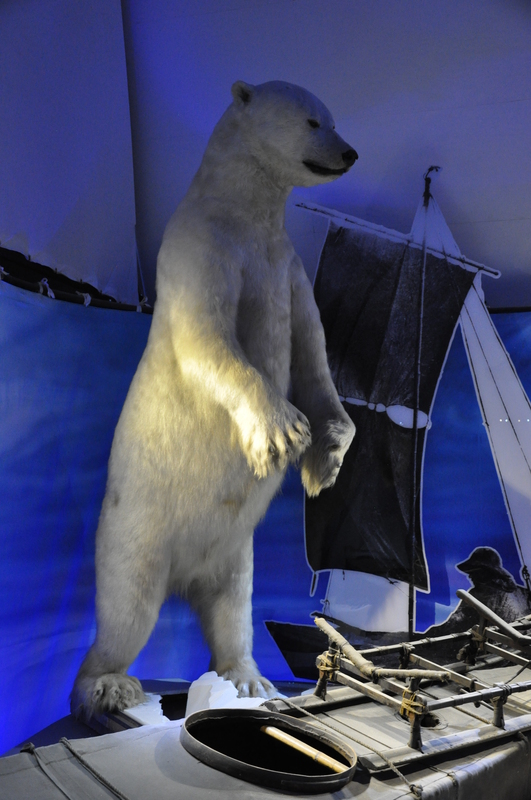 I think he’d stopped by to visit his old friend Fridtjof Nansen. He seemed docile but irritable – not surprising as he was in the cafe, waiting in line for a stale lamington. For some reason all the other customers had decided to leave. Was it the bear or the stale lamingtons? Some of his friends had decided to move into the museum too. I guess if Nansen was free to park in the drift ice for a couple of years, they felt free to return the favor and crash at his place for a while. Looking for an inuit snack. 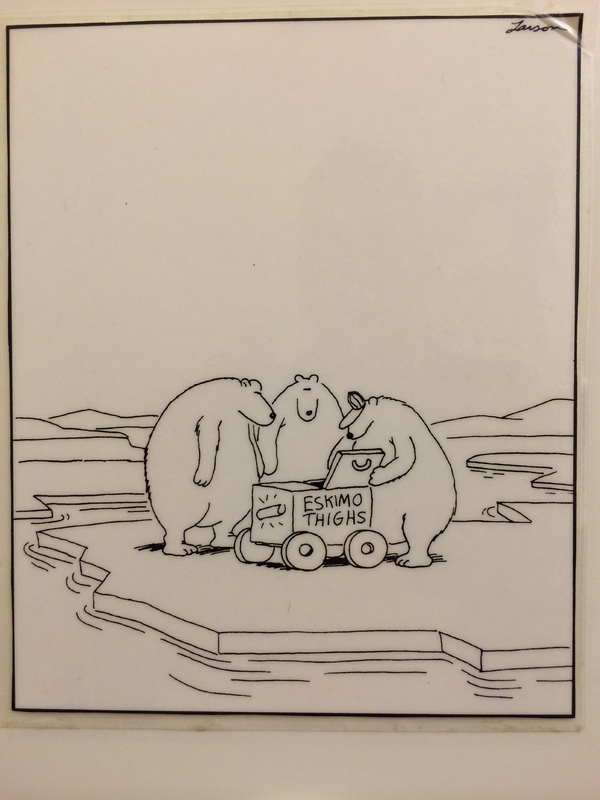 From Prof. Larsen’s treatise on Polar Bear behavior. 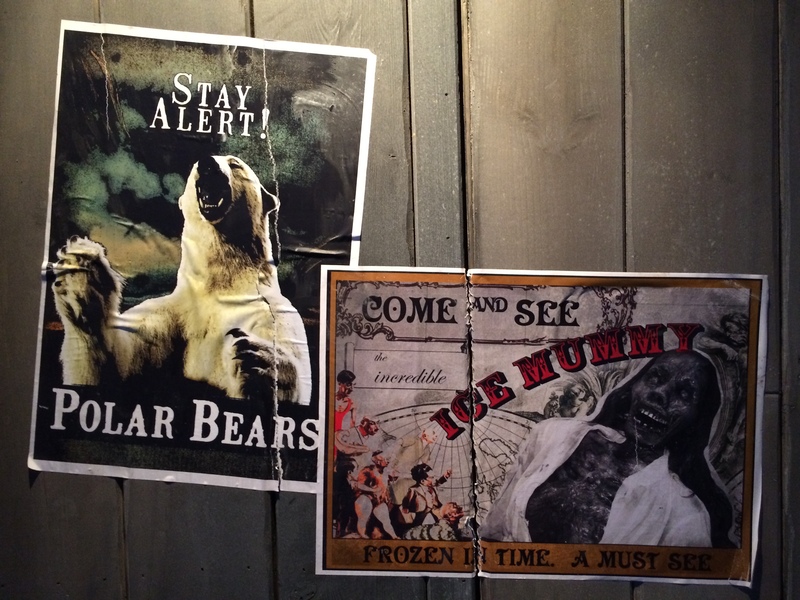 One particularly hostile bear was to be found in the thrilling horror arcade next to the Fram. I entered with trepidation. Icy tingles went up my spine. 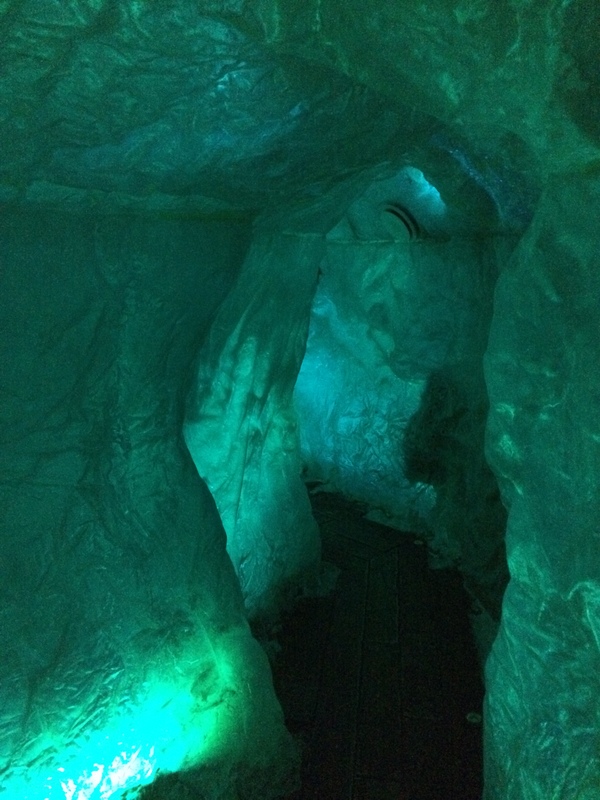 The atmosphere chilled and I could hear the grinding of bergs. 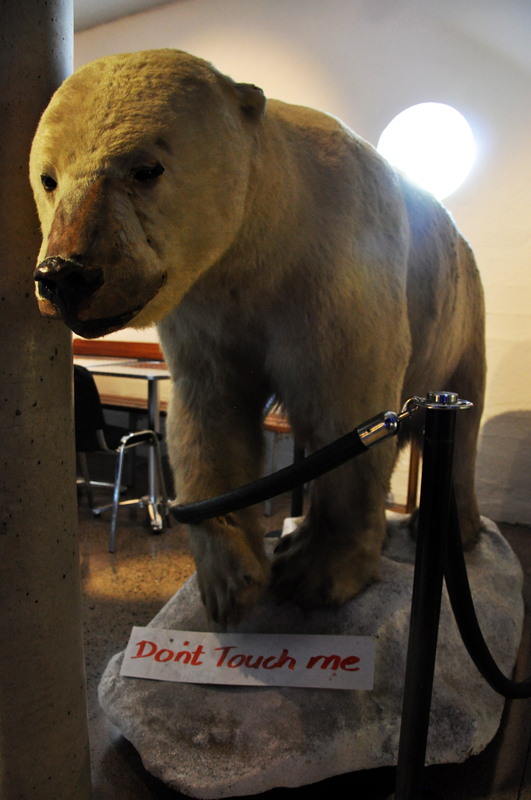 I thought the Natural History Museum in Oslo would be a safer place for me to expand my understanding of Polar Bears. However even here I was in for a harrowing surprise. He had some interestingly gruesome tales tales to tell. Mostly of the loss of his kin! Tales of woe – and the need for breath mints! 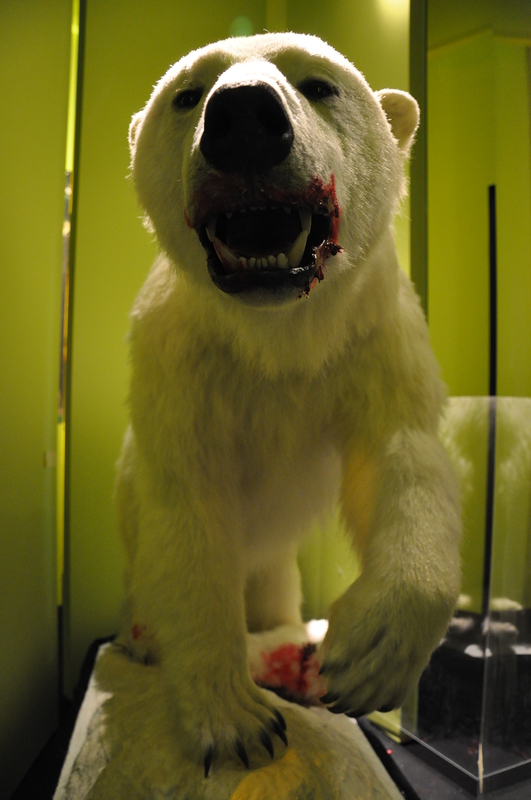 I found his brother bjørn upstairs stalking some rather moldy prey. Waiting forever for the seal to make a fatal move! 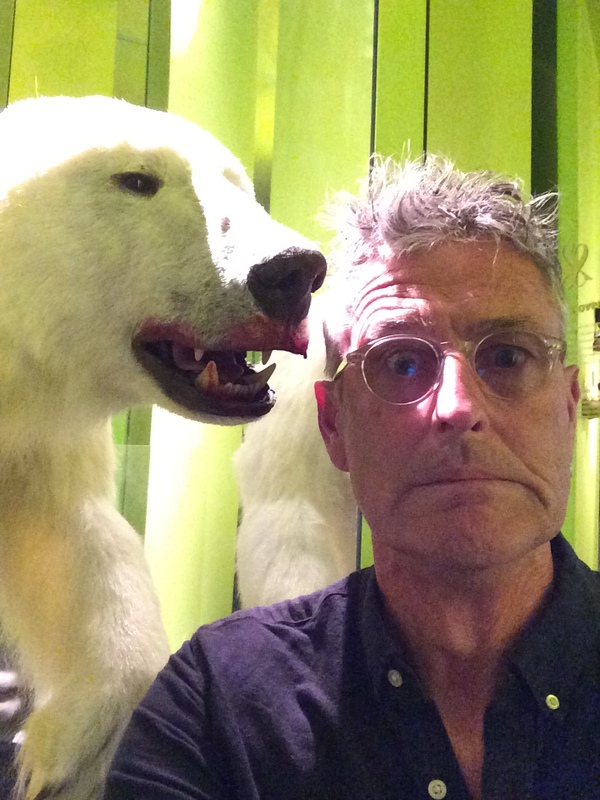 With my newfound understanding from encounters with the many expat isbjørn I met in Oslo, I decided I was ready to head north in search of their more lively brethren. I was lucky. 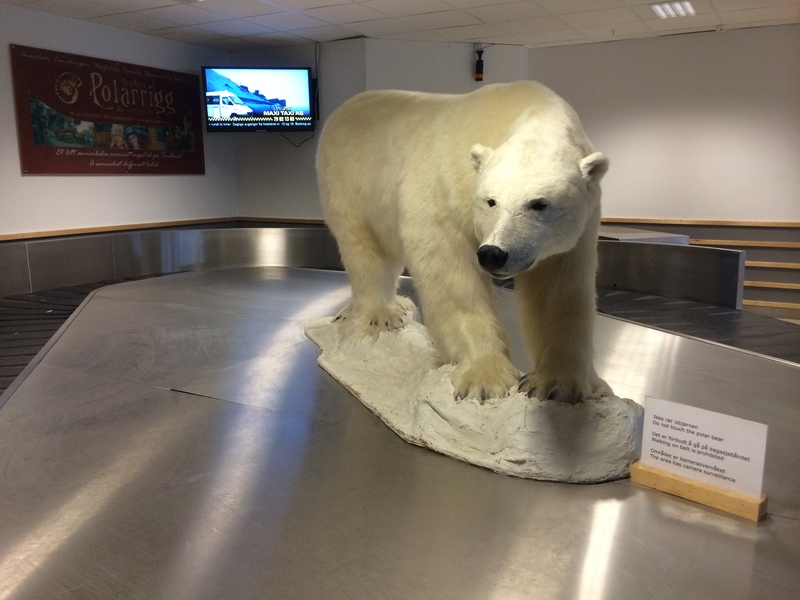 As soon as my plane touched down in the distant town of Longyearbyen on the coast of Spitsbergen, I encountered a noble specimen. Don’t complain about missing luggage in Lonyearbyen. 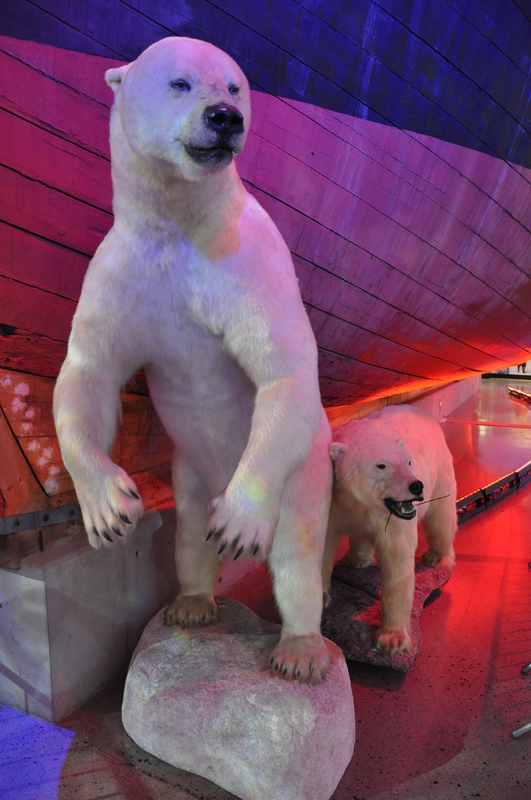 Here the Isbjørn were more fearless than in the civilized cities of Norway. This one was running loose in the supermarket. 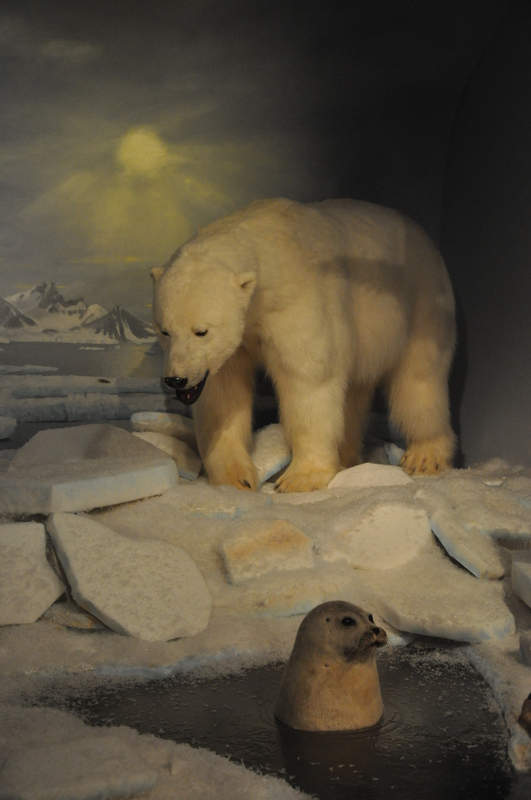 Surprisingly, they were even prowling in the Svalbard Musuem! And so it was finally time to climb aboard the good ship Antigua and set sail for the drift ice and glaciers of the Svalbard Archipelago to see if I might find a truly wild and free Isbjørn – one less familiar with the ways of humans. We sailed for days. Cruising through the ice floes, searching along glacier tongues, listening to the walruses and seals to see if they had any news. 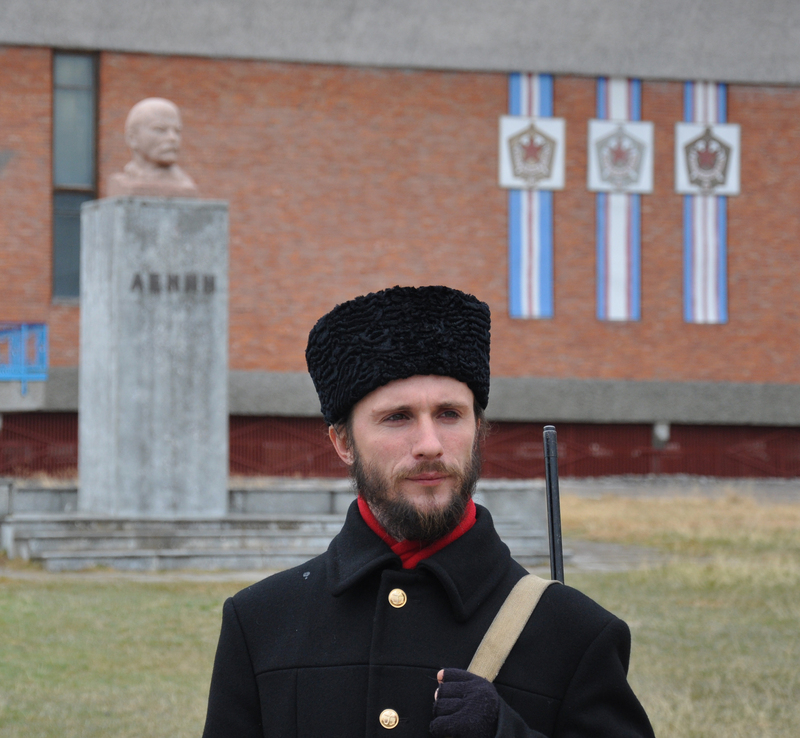 We came to the fabled abandoned Russian mining town of Pyramiden, where we had heard that there had been a recent sighting by a vigilant local hunter. Comrade Alexander on his endless vigil. Our trusted native guides found nothing! Eventually we heard the alarm call that a bear had been sighted in the local bar! Imagine our disappointment on arrival. 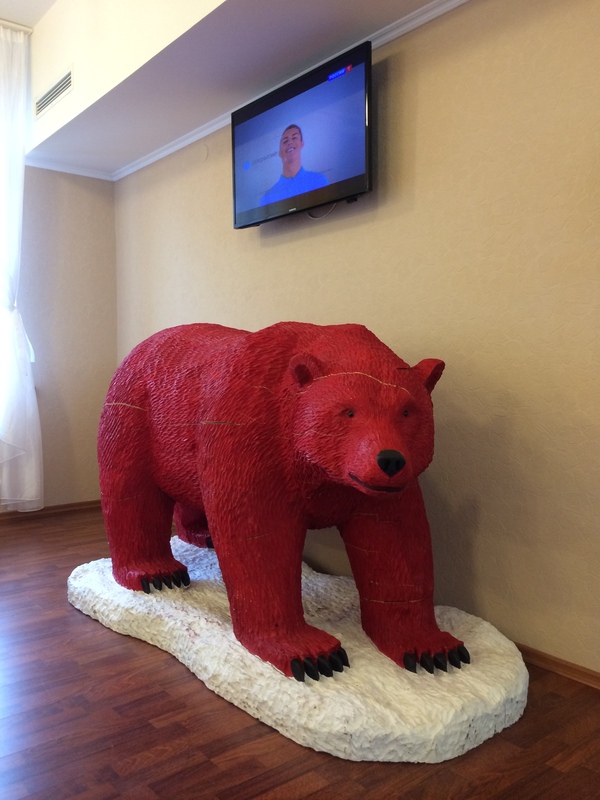 I thought the Russians knew their bears! We set sail once more upon the open seas and icebound fjords. 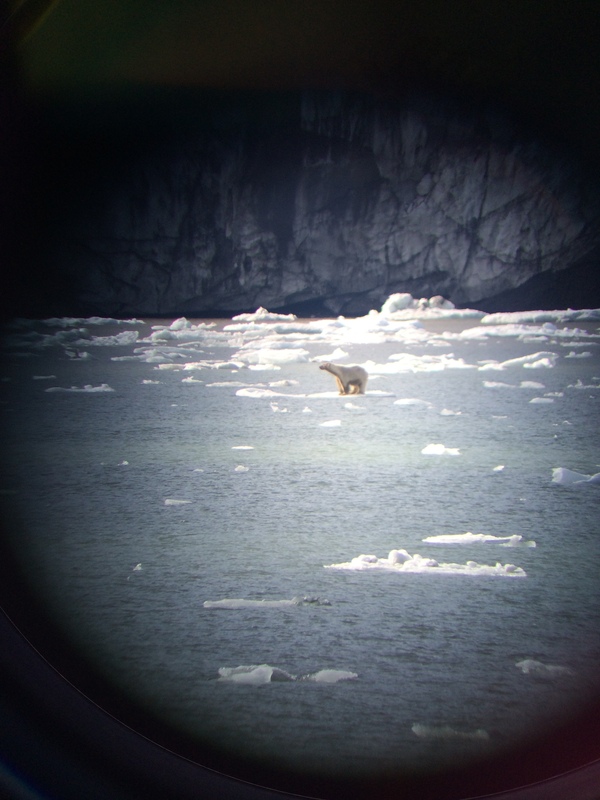 We sailed further south, away from the pack ice, looking for lone bears who had decided to risk the warmer weather in search of prey. After days of hunting, finally, we were rewarded. We bravely landed in our zodiacs and mounted a montane rise to spy a solo bear among the growlers and bergs calved from the nearby glacier. He was comfortably munching on what appeared to be a seal’s noggin’ but at that range and in my heightened sense of fear it was hard to hold my spyglass steady. I calmed my nerves, took aim, crossed my fingers and took my shot!!! 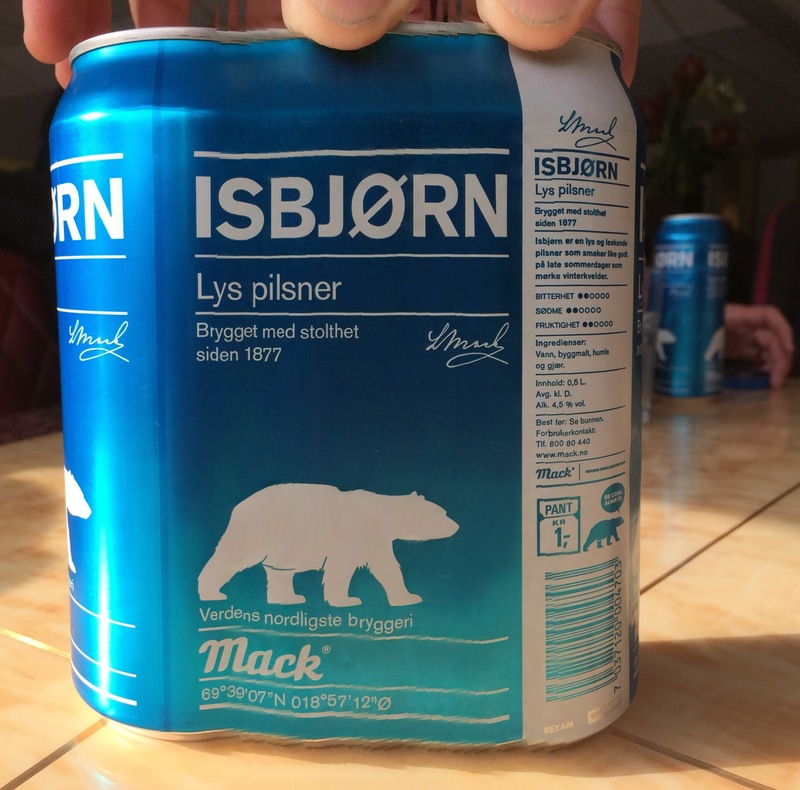 At last, a living Isbjørn! At last, after thousands of miles and many (very) dead ends we had seen the majestic Isbjørn. Striding powerfully through his native habitat, confident in his position as apex predator (almost!). We took our leave. Returning to the trusty Antigua we set sail for a safe harbor and a well earned reward!! 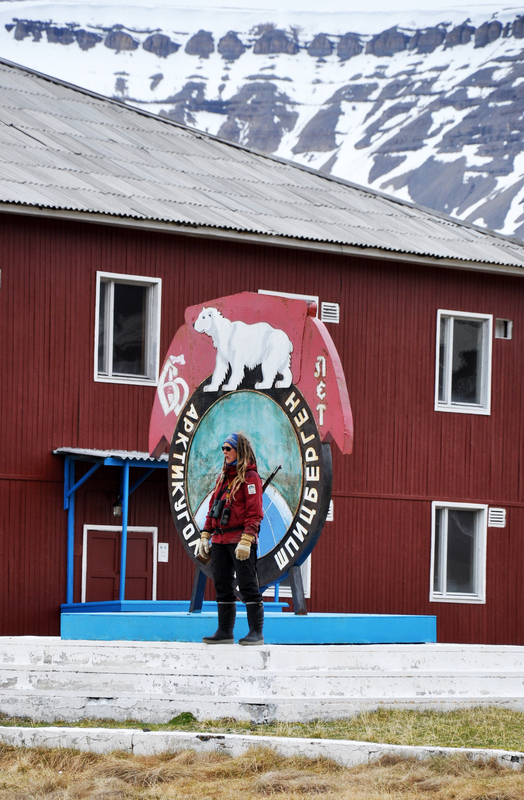 Stay tuned for more tall tales and true from the Arctic soon!! 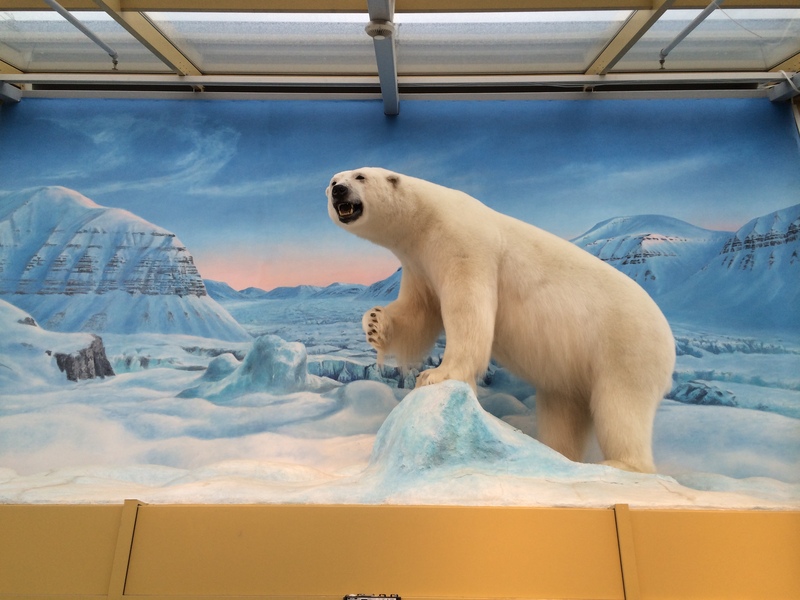 Who taught the Longyearbyen specimen how to knead pizza dough? It seems the Red Herring had hers more under control with a dryer mix but at the same time she risked losing the elasticity that Longyearbyen seemed determined to achieve? Michael. I was wondering what that stuff was. I thought at first that it represented the ancient Norwegian ritual of stomping the Lutefisk! Of course, you’re right! Umberto Nobile must have introduced pizza to the Isbjørn during his extended stay over at the Red Tent. Thanks for clearing that up for me! !